This smart cutter rigged blue water sailing yacht, built by Cygnus Marine of Falmouth, is looking good. 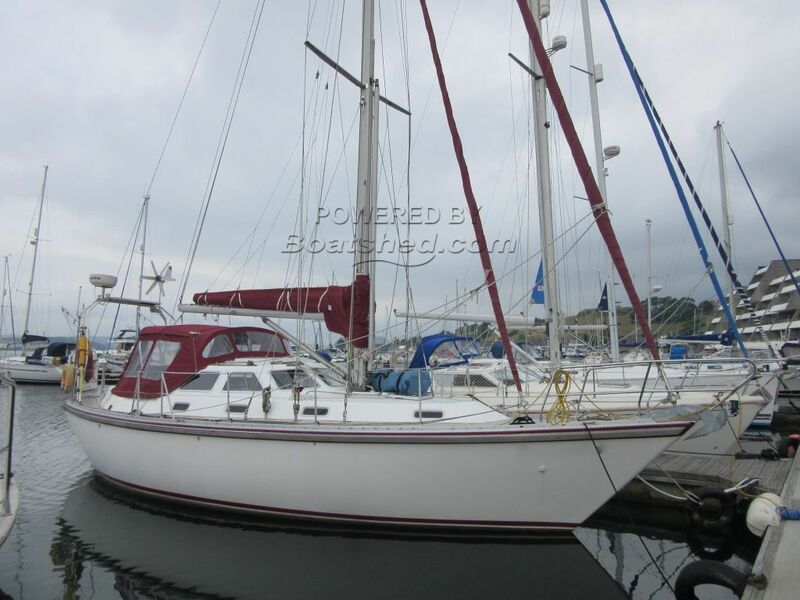 With only two owners from new, this yacht has been lovingly designed, cared for and maintained. Epoxied from new, she seems to be in a very clean, shipshape and tidy condition and it is with regret, due to ill health, that the current owners have decided to sell. The comfortable helm position is well protected, lines lead aft and all the winches are self-tailing. The teak decks are a pleasure to move around and whilst she’s fitted with a bow thruster for those tight marinas, there is also an automated electric windlass for those secluded anchorages and a very comprehensive navigation fit. The accommodation is spacious, light and comfortable with over 6ft of headroom in the saloon. The galley is well equipped with twin sinks, a four burner cooker, oven, grill, a microwave and, tucked away in the workshop/storage cabin behind the nav station, a fridge and separate freezer. The calorifier/immersion heater provides h/c water throughout and the Eberspacher feeds heat through 3 outlets. There are berths for 6/7 as 3 doubles and a single and the useful storage cabin/workshop behind the forward facing nav station is also accessible from the cockpit. This is a very well equipped, comfortable and capable yacht. Ideal for long term travelling or living in luxury at your favourite marina. This Colvic Countess 37 Mk II DHW has been personally photographed and viewed by Billy & Jo Hallam of Boatshed Plymouth. Click here for contact details.